Little Dude's Mama: Miller Time? 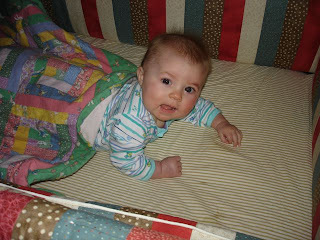 Try Tummy Time! After consulting every source on the Internet and about 17 Moms, I am now convinced it is OK for the lil' dude to sleep on her tummy. Because, she's all about flipping herself over and staying that way until the morning light. She owes me two nights' sleep for panicking about this. 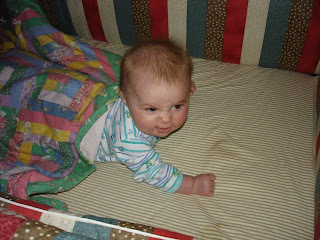 She wakes up all snarly-like, just like Mama! Belly is better Mama, now go make me breakfast!